Werner's Cairns blog: Coconut oil -10 Life Improving Uses. alternative to butter and other cooking oils. For us, it has replaced butter some time ago. 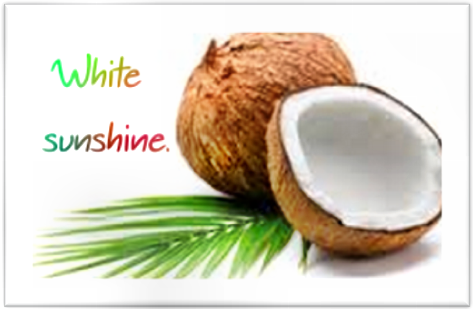 Since coconuts grow exclusively in the tropics, we can easily say that it is full of sunshine. But as you’ll see; there are 10 things you probably didn't know you can do with coconut oil. This is certainly a very good “nut” - metaphorically speaking. Coconut oil is an unbelievably versatile substance which most of us only know a bit about. It can be used for cooking as well as keep you healthy and beautiful. With plenty of antibacterial and anti-fungal ingredients, coconut oil offers many simple and natural ways to improve your life. What many people don't know about using coconut oil for cooking is that it has a high heating point. This means that the oil does not oxidize until 450 degrees Fahrenheit (252 degrees Celsius) and so it keeps more of its nutritious values after being cooked. You can replace any oil, in just about any recipe, with coconut oil for a healthier meal. If you start using coconut oil regularly, you can say goodbye to your flaky, dry skin. Coconut oil is a great, all natural, moisturizer for your face and body. It will not cause your skin to be oily but rather boost its collagen production, keeping your skin healthy and the wrinkles at bay. Coconut oil is a great source for a healthy fat with no trans fats called medium chain triglyceride (MCT). The MCT acid particles immediately go to the liver after eating them, increasing the energy and metabolism in your body. Take a few tablespoons of coconut oil a day and help your body get back into shape. Mix coconut oil with baking soda, and you get a home-made toothpaste with the antibacterial and anti-fungal properties of the oil. Store it in a cool place as it will turn into liquid at about 74 degrees Fahrenheit (23 degrees Celsius). You don’t have to use it all the time; just a few times a week will supplement your dental care greatly, along with your normal toothpaste. Just as coconut oil can moisturize your body and face, it can also help your hair. Rub it into your hair and wait for about 15 minutes then wash, shampoo, rinse and style it as you always do. This will make your hair healthy and shiny, as well as give you a wonderful fresh feeling. Because it's a natural moisturizer and a collagen production aid, coconut oil is great for fixing damaged skin. Use coconut oil with a drop or two of lavender oil to keep your skin from peeling off after sunburn, and heal cuts faster than ever. Breast milk is key to the development of newborn babies. Consuming coconut oil will increases your milk supply as the healthy fats are a key component to hormone production, which increases milk production. Apply coconut oil to the skin of your chest, neck and armpits to eliminate odours. The acid in the coconut oil will kill the odour- causing bacteria and help deal the body odour problem. You can use coconut oil, or coconut milk (but not from a can) as a healthy way to remove cream and fats from your coffee. This will not only increase your uptake of vitamins and nutrients but also add a rich, smooth nutty taste to your drink. Mix equal amounts of coconut oil and sugar, and use it to scrub your body with it while in the bath or shower. This will help to exfoliate your skin and moisturize the new layer to make it soft and healthy. Werner, your blog is a treasure-trove; full of valuable and interesting information; thank you for bringing this to us. No, Marinka, I have not heard of "Oil Pulling" - could you tell the readers how it is done please?